Many of the units at the new Centerpointe development on Paramount Blvd. are done now. 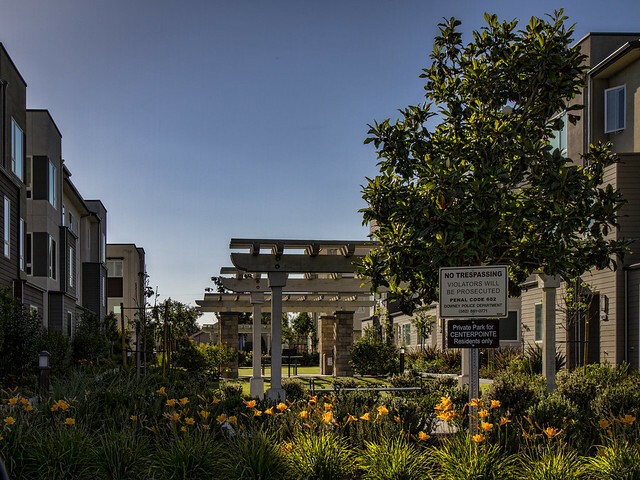 The outdoor areas and this private park are landscaped and ready for entertaining (residents only, of course). Except for the back areas, where construction and landscaping are still in progress. 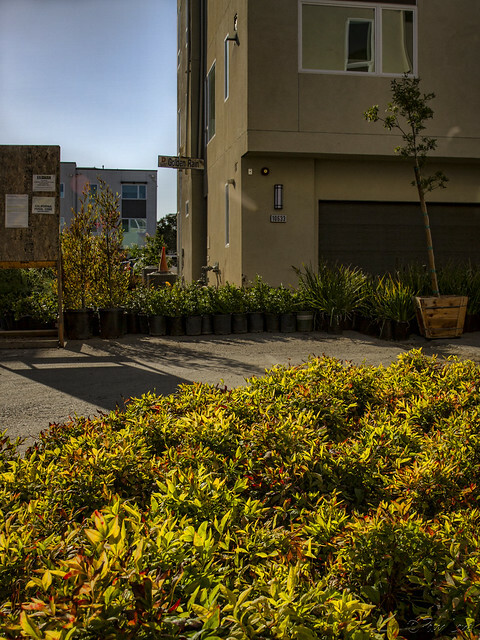 It takes a lot of containers to turn an empty lot into a green area.